Dr. Mark Venincasa was just honored for 2018 as one of America’s Best Dentists by the National Consumer Advisory Board. This award is bestowed upon those dentists who have over four years of experience, who own their own practice and work full-time, who were recommended by other health care professionals, and who demonstrate a commitment to quality care as illustrated in their online patient and doctor reviews. Humbly, this is the second year in a row in which he has received this honor, and only 35 Dallas dentists have received this honor from 2013-2017. Dr. Venincasa began his practice in 1986, where he worked out of offices in the Lakewood area and in the Prestonwood area of Dallas. His practice grew primarily by word-of-mouth referrals. In 1992, he moved his practice to north Dallas, in its present location conveniently located on Preston Road between Campbell and Frankford Roads. His office is easily accessible via the North Dallas Tollway and the George Bush Turnpike. As times progresses, the dental practice becomes more unique because of his practice model. Over time, his practice has been highly awarded because of this. 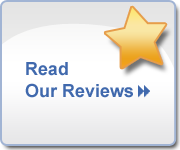 Dr. Venincasa owns and operates this sole dentist practice which is patient-centered, value-conscious, and quality-oriented. For years, his practice has saved patients money in the long run by resting his principles upon traditional and timeless values and virtues. As a result, his patients have benefited a great deal. This, in turn, has created a wonderful dental office where patients are respected and valued. 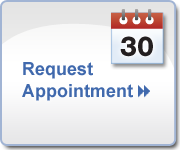 Dr. Venincasa is accepting new patients. We invite you to contact our office at (972) 250-2580.